You’ve just been invited to your fifth wedding of the year. You’re tired, your bank account aches, and you can’t remember which couple is registered at Crate and Barrel, and which is forgoing a registry in favor of donations to their zen-yoga-and-sound-therapy-retreat honeymoon in the Catskills. The last thing you want to think about is what gift you need to buy now. This is where Dutch ovens come in—they're the ultimate wedding gift for any couple. A versatile, beautiful essential in every home kitchen, the Dutch oven is a foolproof wedding gift for your closest friend or most distant coworker. 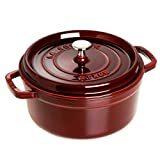 For the unacquainted, a Dutch oven (called a "casserole dish" everywhere but here) is a hefty cast iron pot coated with enamel that can be used on the stovetop, in the oven, and even on your dining room table when it comes time to serve. They're like if your favorite cast iron pan, baking dish, and stock pot joined forces to make your life easier. Dutch ovens can sauté vegetables, cook soups and stews, braise meat, and bake bread all in one, without sacrificing style or longevity. It’s a popular registry item, but even if you don't spy it on the registry, it's a gift that screams “I care about you!” without requiring much personalization or effort on your part. Which Dutch oven should you buy? So you’re going to buy the happy couple a Dutch oven and become their favorite wedding guest of all time. The only question that remains is—do you buy a Le Creuset or a Staub? 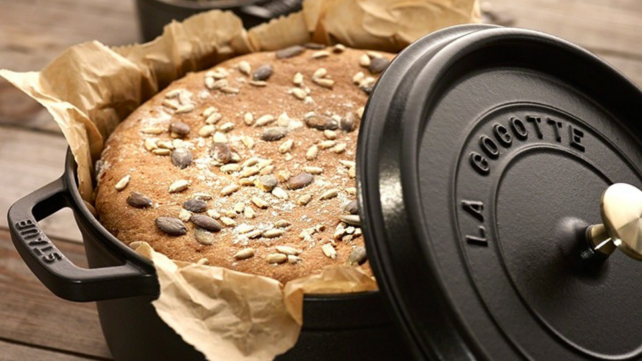 These French cookware brands have set the standard with their durable Dutch ovens that are loved by home chefs and professionals alike. 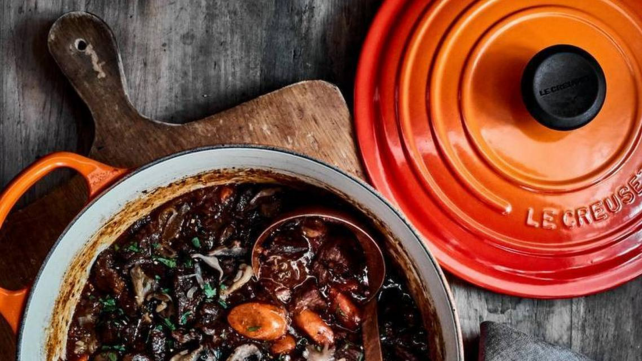 Le Creuset has been making their famed products for over 100 years, and while Staub has only been around since the 1970s, their Dutch oven has challenged Le Creuset for the crown. Both Dutch ovens hover around $300 and are offered in a similar array of stylish colors and seasonal designs. However, they're not created equal. In our comprehensive testing of Dutch ovens, we found that while both the Staub and Le Creuset could make perfect meals every time, the shape and structure of the Staub made it much more kitchen-friendly—its perfect roundness and unobtrusive handles take up minimal space in the cabinet and on the stovetop. For that reason, we recommend the Staub Round Cocotte (available at Amazon for $324.95) over the popular Le Creuset. 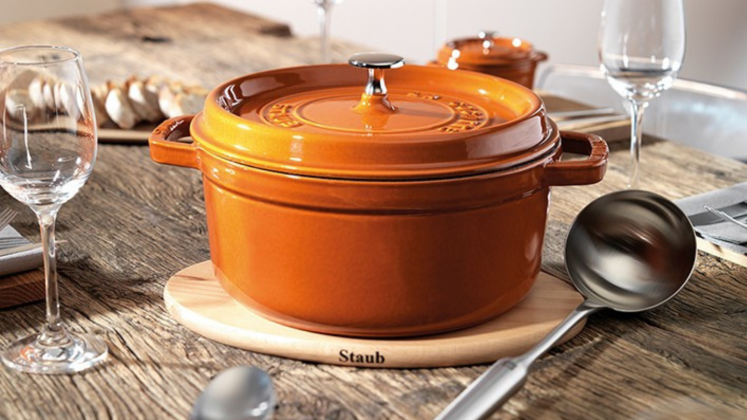 Even if you see that the couple’s registry is filled with cookware from one specific brand, you cannot go wrong with a stylish and sturdy Staub—they'll thank you later.